What's your LEAST favorite day of the week? But I do love lasagna..! 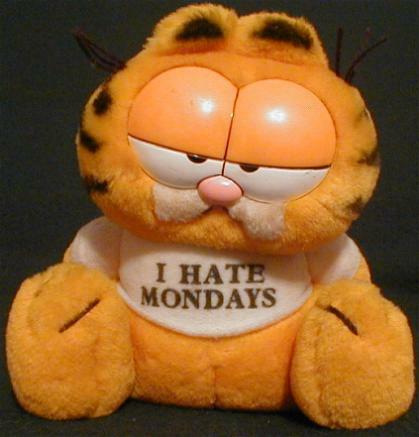 SpearmintFur: That is essentially Garfield in a nutshell. That and he likes to sleep...a lot. FoolProof: ...is my Friday. Longest. Day. Evar. FoolProof: I hate Saturdays, too.